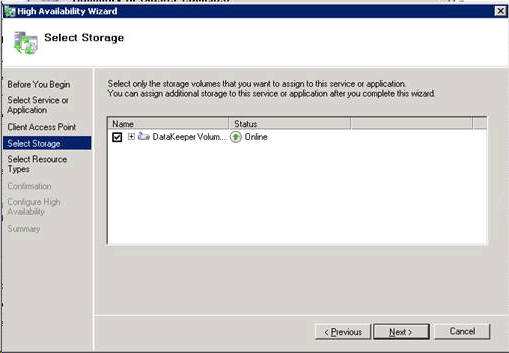 When creating an Other Server resource in WSFC, you will be prompted for a storage resource (DataKeeper resource) twice. You will check the first one, but do not need to check the second dialog. Click the “checkbox” for the first dialog “Select Storage”. 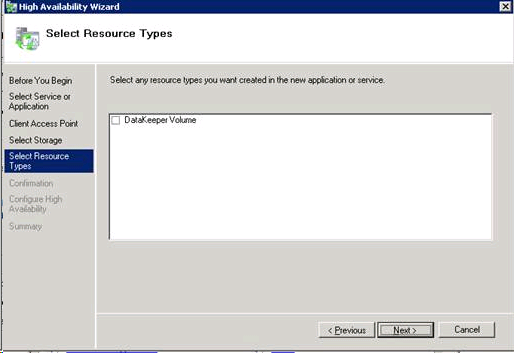 But DO NOT check the box in the 2nd dialog “Select Resource Types”. This will attempt to create another resource, which is not required.